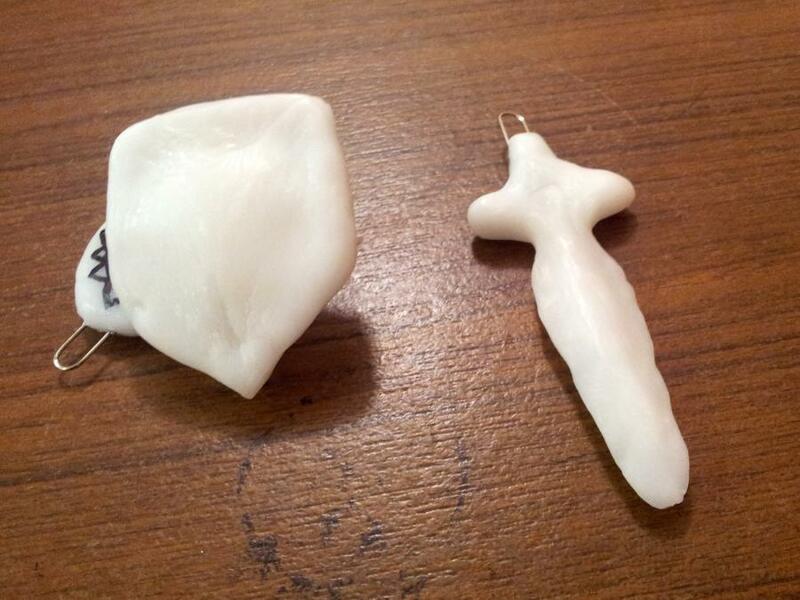 Tom has been making some nifty Plastimake keychain accessories. 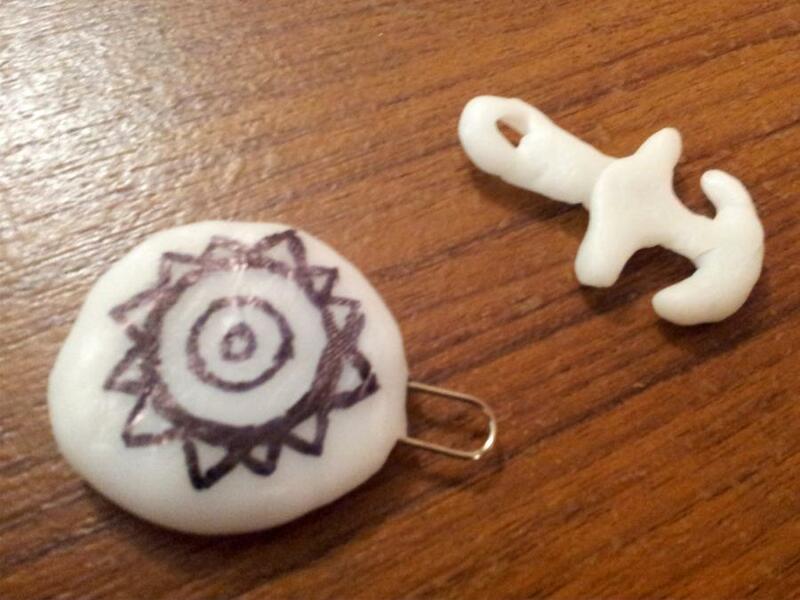 He has even embedded a paper clip into each one so that they can be easily and securely attached to his keyring. Very clever!